2.List the top 3 benefits that your ideal place of employment would offer? 3. Are you currently looking for a job? If yes, would you relocate? 4. How important to you are “family-friendly” benefits for men and women employees? 5. Which of the following do you wish that you knew more about? 6. Did you have a mentor and do you currently serve as a mentor? 7. Do you reach out into the community to serve as a role model to young women students? 8. Are you treated equally vs. your male counterparts? 9. Do you often work at home? 10. 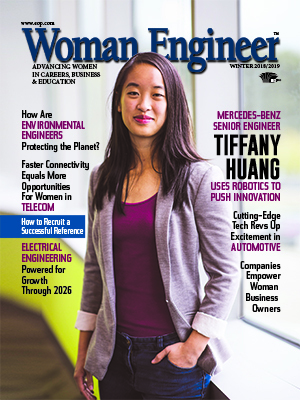 What advice would you give to employers who want to hire women engineers? 11. What advice do you have for other women engineering students and/or professionals? 13. Are you a college student? 14. Are you a professional engineer?